Helps your child fall asleep by comforting them! Less middle of the night wake ups! 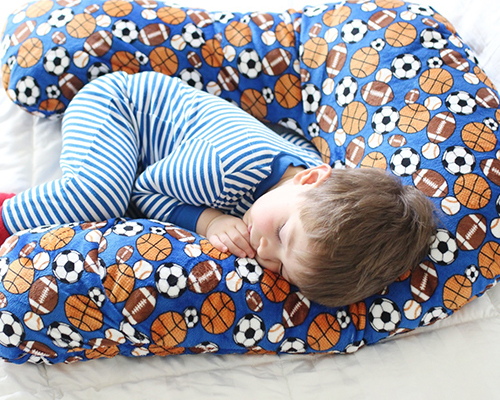 Super soft fabric helps your child snuggle in and fall asleep! Helps snuggle your child like a parent would! For children 3 years and up!